What for years was once widely seen in American soccer as a simple warm-up activity has taken on an outsized, even mythical role in the hands of Pep Guardiola, Lionel Messi, Xavi Hernandez and their peers. Their rondos hone and showcase technique, precision, speed of thought, and patterns of play. In practice, they become viral among coaches and fans the world over. So imagine the consternation that rippled across the US coaching landscape this spring when word began to circulate of rondos being specifically discouraged in US Soccer’s coaching education system. Some even spoke of a “war on rondos,” lamenting the idea that the United States would not embrace a foundational element of the world's best teams. A few weeks ago I took to Twitter to ask if any coaches had experienced this and got no shortage of responses. So I requested an interview with US Soccer's top coaching education officials. That led to an interesting and extended conversation with Frank Tschan, USSF’s Director of Coaching Education Programs, and Dan Russell, the Fed’s manager of sport development. The two men have overseen a dramatic reorganization of the federation’s coaching ed framework over the past three years or so. The old system of a ladder of A-B-C-D-E-F licenses that coaches worked their way up is now a multi-track system, a “road map” with distinct “pathways” for the grassroots, youth, and professional sectors. A digital coaching center, online application process and online coursework in the early stages of the licensing process are intended to smooth and centralize the experience across this enormous country. Guided by the mantra of “reality-based, holistic and experiential,” the new structure is intended to give coaches at all levels the specialized training they need specific to their situation, whether that’s the sidelines of MLS or their young child’s small-sided Under-6 games. Higher-level courses are operated directly by the fed, while clubs, leagues, and associations partner with USSF to host those on the lower end. One of the central tenets of the USSF’s framework is “directional play,” the idea that drills and activities should replicate game situations by guiding movements and focus towards goal. That seems to have led some instructors to discourage rondos, on the basis that they are fundamentally circular and lack that forward direction. Tschan and Russell say that’s not a directive – far from it. “No, I think that’s a rather bold statement. I don’t think there’s a war on anything,” said Tschan when I asked him about rondos. “It’s less about US Soccer stating what’s right or wrong but more about inspiring the coach to think about why they’re doing the things that they’re doing and is that effective for the player and their development,” said Russell. The reality on the ground may be harder to pin down. “When you have a grassroots coach who comes into these early, open-entry, low-barrier, easily-accessible course experiences, there will be a little bit more direction, shaping them and their ability to understand and lead young players,” explained Tschan. “As the pathway becomes something a coach navigates towards, ultimately, the professional level, there might be a more autonomous approach to then developing their ideas based on that particular professional environment … to be able to work according to their own principles and beliefs. It’s a bit of a scalable thing. So it seems that the answer is more like “it depends,” with coaches expected to explicitly demonstrate their capability to implement the fed’s philosophies via rondos should they wish to pass their courses. It's worth noting that the implementation of this new pathway is not yet complete and that there’s probably not yet a large enough sample size with which to evaluate the effects of the recent changes. There are a lot of soccer coaches across the United States, stoking high demand for all levels of the Federation’s coursework. Not every applicant for higher-level courses is accepted. USSF is ramping up the capacity of the coaching education system, seeking to grow the frequency of courses as well as the number of instructors available to run them. As all this scales up, there will inevitably be inconsistencies in the application of the curriculum – and there’s not exactly unanimous agreement in the suitability of the fed’s undergirding ideas to begin with. 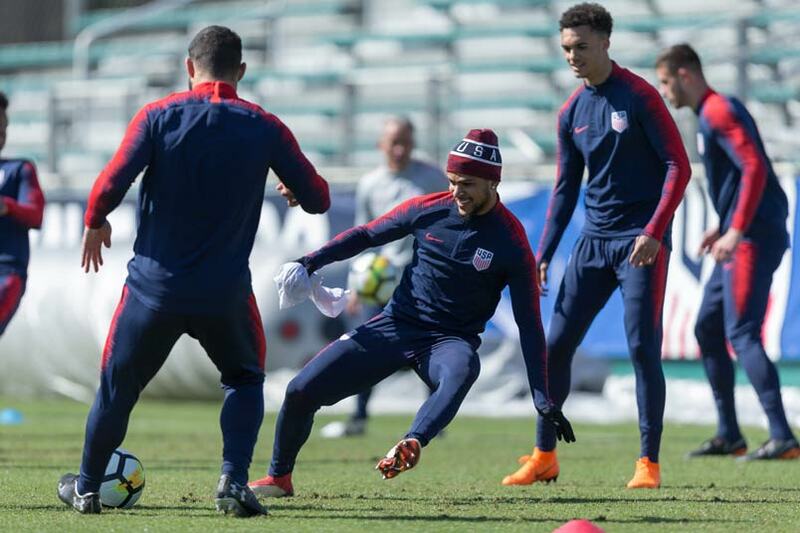 Sift through the tea leaves a bit, and the profound challenges of implementing any sort of major change across American soccer – let alone the sweeping overhauls many have called for in the wake of the USMNT’s 2018 World Cup qualifying campaign – become clear. So aspiring coaches are left to navigate a landscape that’s nearly as muddled and chaotic as the one aspiring players face. 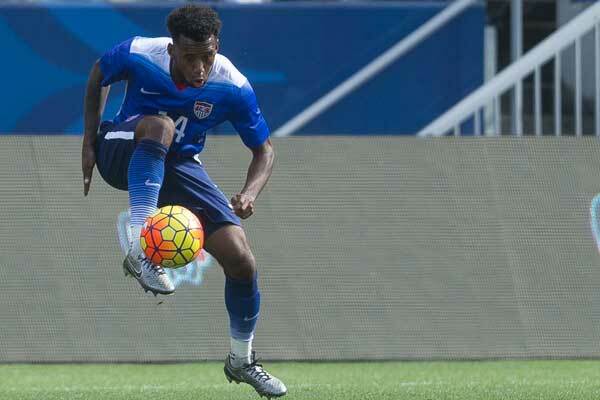 Some follow the USSF pathway faithfully and completely. Many augment it with outside sources of knowledge. Others step away from it entirely, perhaps saving up enough time and money to gain UEFA certifications, which usually require multiple trips for coursework in Europe. Will the efforts of Tschan, Russell, and their colleagues bear fruit over the long term and raise the quality of both coaching and play in this country? Or is their task fundamentally impossible given the size, disorder, and complexity that often seems endemic to our soccer scene? These debates will rumble on, pinging around our circle like the ball in one of Barcelona’s signature one-touch rondos. Will New England's approach change youth soccer?